Along with our standard range of products the Company still offers facilities to cope with one off specials if required, utilising Forging, Fabrication, or General Engineering processes. Beaconsfield Products offers quality products for use in various trades such as the categories list to the left. Please select any of the categories for full product lists. Heavy robust design suitable for 21 HP and above. Robust box section with hard wood bearings For durability. 1.2Mtr working width with up to 175mm slitting depth. 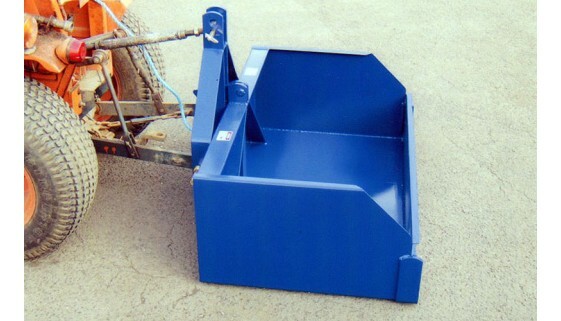 We manufacture and supply wide tipping transport boxes. This is a useful inexpensive addition for any tractor user, sturdy robust construction from 3mm thick steel sheet heavily reinforced for carrying loads of up to 250kgs. 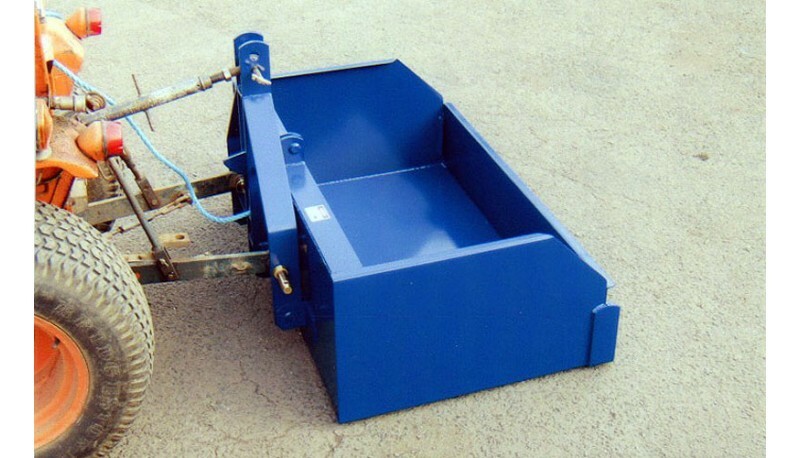 These can be be operated by a simple manual tipping mechanism and detachable tail gate for easy loading. Strenghened with a heavy lead cutting edge around the sides fitted with category 1 and 2 linkage pins. Finished in matt black or Oxford blue paint.